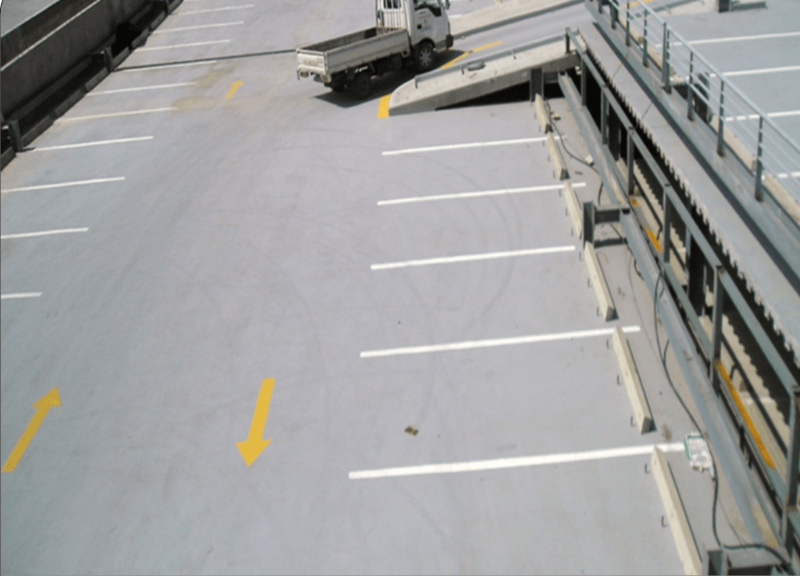 Gaco Western Inc. Auto Deck Plural Component 35 Mil Urethane Waterproof Coating System consisting of a sealer, primer, joint reinforcement, proprietary non-slip granules and three (3) coat urethane coatings application all fully adhered to the structural concrete deck. This project was completed on time, within budget and to the satisfaction of our client. A ten (10) year Manufacturer’s Warranty was issued to ensure the waterproofing ability of the materials and workmanship employed.